On April 18, the U.S. House Committee on Agriculture passed H.R. 2, “The Agriculture & Nutrition Act of 2018” – commonly known as the farm bill – on a party-line vote of 26-20. The current farm bill, the “Agriculture Act of 2014” (P.L. 113-79), expires on September 30, 2018. The farm bill helps counties make critical investments in infrastructure, nutrition, workforce and economic development in both urban and rural communities. The Congressional Budget Office (CBO) projects the House bill would cost $867 billion over the next ten years – $90 billion less than the enacted 2014 Farm Bill. The Nutrition Title in the House package accounts for over 75 percent of total spending and is projected at $664 billion over the next ten years. The remaining 25 percent – or $203 billion – would be split among eleven other titles, with over $199 billion going to the Crop Insurance, Commodity and Conservation Titles alone. Contention over the Supplemental Nutritional Assistance Program (SNAP) provision in the Nutrition Title was front and center during the committee’s markup of the bill. The Agriculture and Nutrition Act of 2018 would reshape SNAP, proposing a new work standard for adults aged 18-59 requiring SNAP recipients to find at least a part-time job within one month of receiving benefits beginning in 2021. The bill would also expand state education and work programs, limit some eligibilities, and eliminate broad-based categorical eligibility, through which states can provide SNAP to those with incomes above 130 percent of the poverty line but disposable incomes below the poverty line. SNAP is an important public assistance program offering nutrition assistance to roughly 42 million low-income individuals and families across the country, and is a major priority for America’s counties. Other provisions in the bill include the elimination of all mandatory funding for rural development programs, such as water and wastewater infrastructure loans and grants. The previous farm bill provided $150 million for rural development. The bill would also pre-empt local authority as it relates to agricultural production or manufacturing standards if a similar agricultural product is produced in another state or locality that has less stringent standards. The bill also would provide flexibility for USDA to address rural health crises by offering one-year renewable grants to assist rural communities responding to a specific health emergency, and it would prioritize funding for these communities under several USDA programs that benefit rural health. Another reform included in the bill would exclude incarcerated individuals from the population counts used to determine whether an area is considered “rural” for the purpose of determining eligibility for USDA Rural Development program funding. This would particularly benefit counties operating regional jails. Ultimately, the committee advanced the bill despite unanimous opposition from committee Democrats, who voiced significant concerns over the Nutrition Title and claimed that they had been excluded from the drafting process. The draft bill will be sent to the House floor, possibly as early as mid-May, where it would require 218 votes to pass. Senate Republicans’ narrow Senate majority may make it difficult to gather support for sweeping reforms to the SNAP program, setting up a potential road block to final passage. The Senate Agriculture Committee has not yet released its own draft farm bill text, and an exact timeline for Senate action is unclear. If the Senate does not act soon enough, Congress may have to simply extend current farm bill programs this fall. NACo will continue to monitor progress on the 2018 Farm Bill and will be deeply engaged with Congress and the administration to ensure the priorities of America’s counties are reflected in any final package. NACo has been working on a full analysis of the 2018 Farm Bill and the programs within the bill impacting counties, which will be released soon. 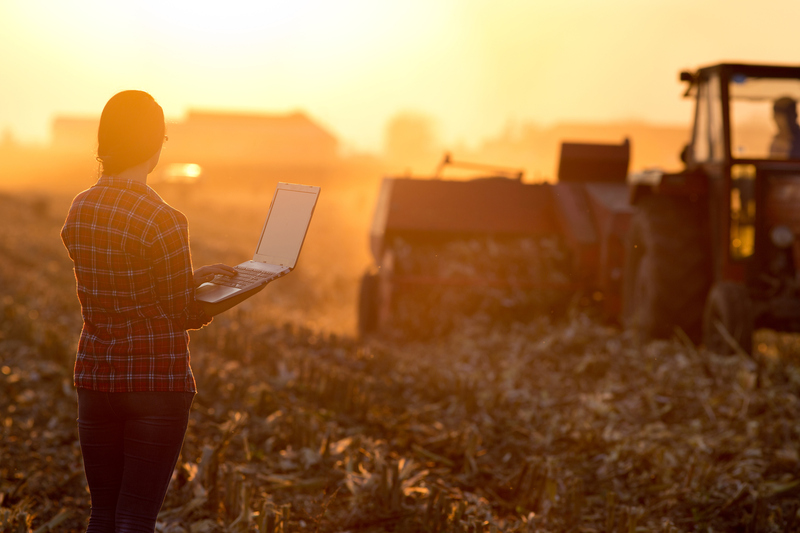 October 1 marked the end of the 2014 Farm Bill – the authorizing vehicle that provides funding for rural development, conservation, agriculture, and nutrition programs under the U.S. Department of Agriculture (USDA) that are critical to counties. The expiration comes as Congress debates a new farm bill; both the U.S. House and U.S.